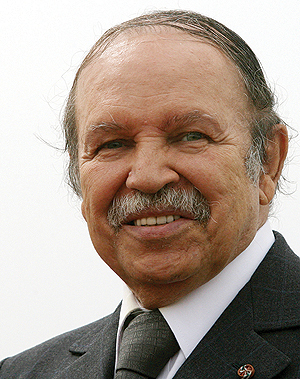 ALGIERS: Algeria’s ailing President Abdelaziz Bouteflika will resign before his mandate expires on April 28, his office said yesterday, after a succession of loyalists deserted him in the face of massive protests. The 82-year-old, who has rarely been seen in public since a 2013 stroke, has been clinging to power as pressure mounted for weeks over attempts to prolong his 20-year rule. Bouteflika will resign “before April 28, 2019”, after “important decisions” are taken, the presidency said in a statement, without specifying when these moves would occur. He would take “steps to ensure state institutions continue to function during the transition period”, the statement carried by the official APS news agency said. Algeria has been rocked by huge protests since the veteran president announced in February that he was seeking a fifth term in office. 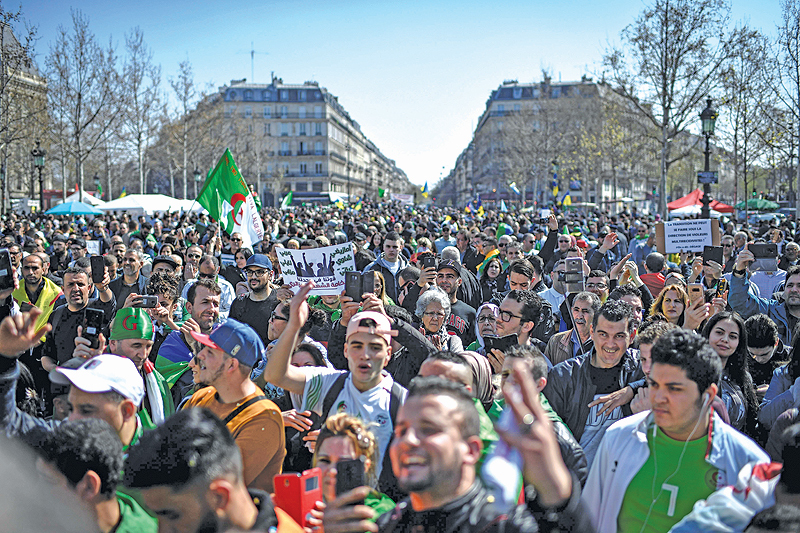 Bouteflika said last month he would pull out of the race and postponed April elections, in moves that angered demonstrators who saw it as a ploy to extend his two decades in power. As the anger failed to subside, a number of high-profile loyalists have deserted the president. Last Tuesday, armed forces chief of staff General Ahmed Gaid Salah, who was appointed by Bouteflika in 2004, said the president should either resign or be declared medically unfit to govern by parliament using its constitutional powers. And on Wednesday, key coalition ally the National Rally for Democracy (RND) headed by recently sacked prime minister Ahmed Ouyahia called for Bouteflika’s resignation “with the aim of smoothing the period of transition”. Under the constitution, once his resignation is tendered, the speaker of Algeria’s upper house of parliament, Abdelkader Bensalah, would act as interim leader for up to 90 days during which a presidential election must be organized. As rumors swirl of frantic behind-the-scenes maneuvering, prosecutors yesterday said they had banned corruption suspects from leaving Algeria after launching graft probes against unnamed individuals. The authorities did not say who was being targeted by the new investigations into corruption and illegal money transfers abroad, but they followed the arrest of the president’s key backer, businessman Ali Haddad. Haddad, who Forbes magazine describes as one of Algeria’s wealthiest entrepreneurs, was detained overnight Saturday to Sunday at a border post with neighboring Tunisia, a security source said, without giving reasons for the arrest. On Sunday, the Algerian authorities also banned all private aircraft from taking off and landing until the end of the month. The announcement of Bouteflika’s impending resignation came after he named a new government made up mainly of technocrats under recently appointed premier Noureddine Bedoui. The administration unveiled Sunday – which was supposed to steward the country towards a transition – included Gaid Salah remaining in his position as deputy defense minister. The appointments failed to curb calls for Bouteflika to leave, as hundreds of people in Algiers demonstrated overnight against the announcement.